It can be difficult to pack every element a set needs into the limited number of cards available to it. To get around this obstacle, sometimes cards are designed to fulfill multiple roles. This round will focus on two of methods of capturing multiple roles within a single card. The first option is a modal card. Charms and Commands are the most well-known modal spell types, but Magic R&D keeps finding new ways to design modal spells. Shards of Alara introduced Branching Bolt and Soul Manipulation, which allow you to choose one or both modes. Commander 2015 introduced the Confluence cycle, which allows you to choose any three modes, and choose the same mode more than once. And in Eldritch Moon, we got the Escalate ability, which allows you to choose additional modes if you pay the escalate cost. Modes have also been exhibited on permanents in cards like Ojutai Exemplars and Demonic Pact. The second option is a card that can literally be more than one card. This can be a split card like Fire // Ice or Never // Return, or a transforming card like Search for Azcanta (or a flip card, but those are basically the same thing). Design a modal card, a split card, or a transforming card. You have until 5 October 2018 at 21:00 CT to post your submissions. Best of luck to you! Target creature you control gets +2/+2 until end of turn and can't be blocked by more than one creature this turn. You may only cast this half when you draw it and if it's the first card you drew this turn. Target creature you control gets +7/+7 and gains trample until end of turn. All creatures able to block it this turn do so. Last edited by BelangiaJo on Sat Sep 29, 2018 12:50 am, edited 1 time in total. Create two 1/1 green Elf Warrior creature tokens. I believe the interaction between the confluence wording and the escalate wording prevent this from going infinite as choosing the same mode twice is choosing another mode after the first. Last edited by EpicLevelCommoner on Sat Sep 29, 2018 12:45 pm, edited 1 time in total. Target creature gains indestructible until end of turn. Exile Shining Shield of Hope transformed. Target creature's controller sacrifices it. You lose life equal to that creature's converted mana cost. 3) The front side of Inverse MUST be cast, you can't just bin it off whatever and use the back side later. Last edited by Tevish Szat on Fri Oct 05, 2018 1:40 am, edited 5 times in total. You may pay rather than pay Heartwood Supplicant's mana cost. If you do, Heartwood Supplicant enters the battlefield transformed. If mana would be added to your mana pool, add double that amount of instead. The song of life is sung by everything that came before, to everything that comes after. Last edited by YingLung on Sat Sep 29, 2018 2:22 pm, edited 1 time in total. As ~ enters the battlefield, choose Mirrans or Phyrexians. - Mirrans - , : Draw a card. - Phyrexians - , : Proliferate. Gate of Elysium comes into play tapped. : Add Use this mana only to cast angel creature spells. If you control 3 or more angel creatures, transform Gate of Elysium. "This is truly the Gate to Heaven." , : Create a 4/4 angel creature token with vigilance. "Aurelia is on the frontline, calling us for war!" Buyback: exile ten cards from your graveyard. Put the top 5 cards of your library into your graveyard. Return target creature card from your graveyard to the top of your library. Create a colorless artifact equipment token with "Equipped creature gets +2/+2." and "Equip "
Create a colorless artifact equipment token with "Equipped creature has , : Draw a card." and "Equip "
• This creature enters the battlefield with two additional +1/+1 counters on it. • If this creature entering the battlefield causes a triggered ability of a permanent you control to trigger, that ability triggers an additional time. The art from Miming Slime was actually my inspiration for making an Ooze Shapeshifter. * Target creature gains indestructible until end of turn. * If a creature would die this turn, instead exile it, and you gain 1 life. * Creatures you control get +1/+1 and gain lifelink and menace until end of turn. Schara's Hideout enters the battlefield tapped with two loyalty counters on it. , : Untap Schara's Hideout, then transform it. Activate this ability only anytime you could cast a sorcery. At the beginning of your upkeep, transform Schara, Planar Thief. : Draw a card. Schara deals 2 damage to you. : Draw four cards. For each card drawn this way, Schara deals 2 damage to each opponent and you gain 2 life. Walkerlands. Land mode represents the planeswalker's base, transforming means the walker goes out to do their thing. So if you couldn't block a creature because you controlled one of these lands, would that creature have Planeswalk? Create a Lhurgoyf creature token with "This creature's power and toughness are each equal to the number of creature cards in exile and in all graveyards"
I don't know if this works rules-wise, but screw it. Whenever you cast an instant or sorcery spell, target creature you control gets +1/+1 and gains flying and haste until end of turn. "The true goal of an artist is to leave a work that will inspire a new generation of artists." Draw two cards. Then discard two cards unless you discard an instant, sorcery, or Wizard card. "His works echo for a hundred generations, filling the mind and canvas of all who follow him." Last edited by CuriousHeartless on Fri Oct 05, 2018 10:11 am, edited 3 times in total. Enchanted creature can't attack you or a planeswalker you control. Counter target spell unless its controller pays and reveals his or her hand. The idea of "Split cards, but with permanents" has been tossed around more than a few times. The big problem has always been memory issues. But what if only one half of a split card was a permanent? That way, remembering which half you cast would be simple: if it's on the battlefield, it's the permanent half. Duh. I went with a "[WORD] but [WORD]" naming scheme for these. This one is "Trust but Verify". Scry X, where X is the amount of spent to cast ~. ~ deals 1 damage to any target for each spent to cast ~. Create a 1/1 white Soldier token for each spent to cast ~. A dragon's eyes can see beyond the real and into the could-have-been. I'm hoping that you can't actually hit 3 targets with this. The pure red mode should be strictly worse than Flame Javelin. I imagine this as part of a cycle for return to Tarkir. 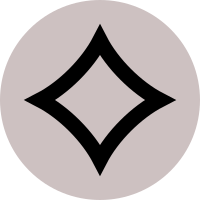 Colorless like Ugin, tricolor like the khanates, dragony like, uh Tarkir, and a dragon's eye is the symbol of the Jeskai. Also not sure if this is "modal". It has modes, but no "choose one or more of the following from this list" equivalent in the text box. I got the ok.
Also, also, if I can't make it into the quarterfinals, I'm not sure if I'm supposed to enter this. I assume that ok extends to this. Last edited by TPmanW on Thu Oct 04, 2018 12:32 am, edited 2 times in total. Whenever Eastwood Flint would be put into your graveyard from anywhere, return it to the battlefield transformed. "Curious even, is a rock without a purpose." Whenever you sacrifice a permanent, you may pay . If you do, Temptuous Bonfire deals 3 damage to target player or planeswalker. Otherwise, it deals 1 damage instead to target player or planeswalker instead. "For no object under the Great Pyre is truly without a spark." Last edited by Malikot on Thu Oct 04, 2018 3:22 pm, edited 1 time in total.